Love At The RMA Store! 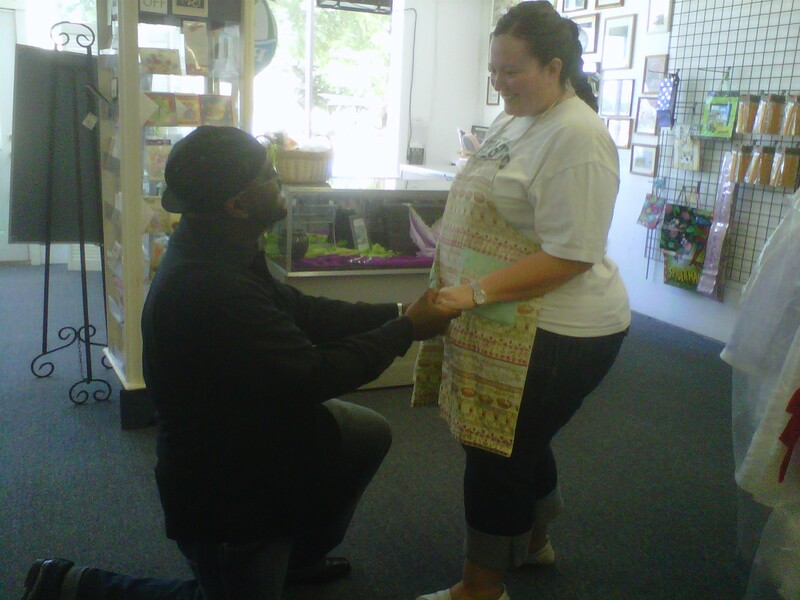 Christopher proposed to Jeannie at the RMA Store! We are so blessed to be a part of these two lives. Two really great people, one really great store and love is the banner over our lives right now! I’m smiling as I write this! I could not be prouder of Jeannie in this moment, I love this girl! By the way, they asked me to perform the ceremony! Honored and blessed beyond measure! AAAAAWWWWWWWW How awesome, they are off to a great start he got on one knee plus he let you take the picture:) VERY ROMANTIC! !